Consider that changes that would be possible if this came to fruition. It's going to be an ugly campaign. We all know it and we're ready for it, but it's going to be the ugliest, nastiest and dirtiest campaign in history. Regardless of whom the GOP nominee turns out to be, why NOT take the early lead? If the GOP Nominee takes this advice, it will send a clear message to the Republican establishment that conservatives aren't going to do business as usual any more. It would shake the establishment and pull together conservative voters. Even if the establishment candidate, Romney, becomes the nominee and adopts this measure, HE would pull together the conservative vote. Here is a little something else this would do… It would shake the Obama campaign to its core. As soon as the 1,144 delegates are in hand, WHOEVER garners them either at the convention or before… put this into motion. 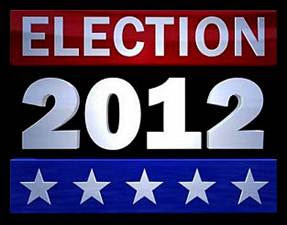 Rather than a leisurely march toward a VP nominee or a surprise VP announcement like we got in 2008, vet the possible VPs NOW and stand ready to announce the running mate in a nationally televised press conference the day after the delegates are in hand. Make the VP choice Allen West. Having Congressman West in the VP slot makes him a TRIPLE THREAT and a VP who WILL redefine the role. Triple threat? As the Vice President he would attend to the regular duties and be a heartbeat away from the presidency. As Vice President, West would also act as a second Secretary of State in difficult diplomatic negotiations. AND… A Vice President West would work in concert with the Secretary of Defense to realign our military and redefine its role. Oh, but this is just the START of the strategy! As soon as the Presidential nominee has introduced West as the running mate… THE NOMINEE WOULD THEN INTRODUCE HIS SECRETARY OF STATE NOMINEE… John Bolton. As a former Ambassador to the United Nations there is nobody with a better handle on the world's issues or more familiar with the players. 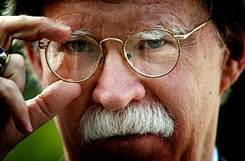 John Bolton is tough, straight forward and not likely to appease ANYONE. Now, you have the nominee on stage, the VP choice and the Secretary of State nominee… Let's not stop there. 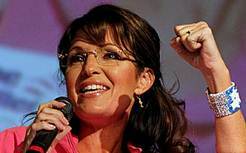 Sarah Palin… Nominee for Secretary of Energy. Palin's directive… Set us on the path toward energy independence in 10 years. Can you think of a better choice? Anyone more invested in that goal? Anyone who is more knowledgeable or adept? Can you feel the ground starting to shake? Next out of the wings and onto the stage… The nominee for Secretary of Defense. As great as he was fighting a PC war, imagine what he'll be like once he and West have pressed the reset button on our rules of engagement. In Petraeus we will have a Secretary of Defense whose mission will be to win. PERIOD! Oh… I'm not done yet. Next up… The nominee for Attorney General… Pam Bondi. 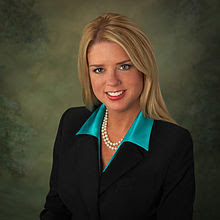 Bondi, Attorney General of Florida, is a no nonsense fighter who has taken on the current administration over Obamacare and WILL clean out the corruption rampant in that office today. Okay, where are we? Who is now standing on the stage? The Presidential nominee and Allen West… John Bolton… Sarah Palin…General Petreaus and Pam Bondi. How about a Secretary of the Treasury? We would need someone who has worked for YEARS in the tax field who understands the overwhelming burden of tax codes and who has, for years fought to restructure those codes. Welcome Michele Bachmann to the stage… The nominee for Secretary of the Treasury. By now, fissures should be opening in the ground, rumbling coming from the sky and the faint odor of brimstone should be in the air. We will need someone new with new ideas to head up the Fed. Please welcome Ron Paul. Yes, I realize this, under Paul, will be a temporary position; but somehow, I doubt Ron Paul wants to make a career of running the Fed. Secretary of the Interior? 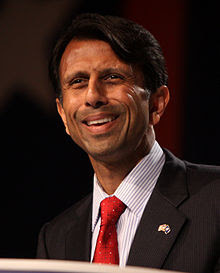 Governor Bobby Jindal of Louisiana… COME ON DOWN! And finally… We need someone to head up the Department of Homeland Security. We must have someone who understands the issues we face. Someone who has worked in federal law enforcement. Someone who won't take any crap from anybody. Please… a round of applause for… Sheriff Joe Arpaio, Maricopa County, AZ. Feel free to substitute names… add your own choices, but these are mine. The picks are only a part of the whole picture however. The impact is as important as the names. Were the GOP nominee to do this… call a press conference and make such an announcement… it would be unprecedented. Never before has a presidential nominee entered the full-on campaign with a fully assembled team. Can you IMAGINE the shock-and-awe wave that would be sent through the Obama campaign were the GOP nominee to do this? From the word GO it would be unlike any previous presidential campaign. Instead of simply Nominee X against Obama we would have Nominee X vs Obama… Congressman Allen West vs Joe Biden… John Bolton vs Hillary Clinton… Sarah Palin vs Stephen Chu… General Petreaus vs Leon Panetta… Pam Bondi vs Eric Holder… Michele Bachmann vs Tim Geitner… Ron Paul vs Ben Bernake… Bobby Jindal vs Ken Salazar and Sheriff Joe Arpaio vs Janet Napolitano. Think about that… Let that sink in… All campaigning at once. There would be no way out for Obama as each and every key player on his team would be exposed and held to account from the word GO. It would be a full on frontal assault and Obama would have no place to hide. By adopting this proposal, Obama would be forced into a pot of boiling water or into the fire. If he tried to rid himself of baggage he would be exposed as running from his own record and that of the very people he's been standing behind for political expediency. If he stays with them, he would be forced to defend them. Boiling water or a raging fire… his choice. It's bold, brash and completely against the establishment business as usual strategy. An entire assembled team of key cabinet positions… Each one a pitbull on a T-Bone… hammering their liberal counterparts on every issue, every day, from the word GO, until November 6th, 2012. This is the third of my 3-part series this week. Yesterday's Standing on the Right Principles and Tuesday's Inaugural Address comprising the other 2 parts. We will have to play the cards we're dealt with the GOP nominee, but tell me THIS strategy wouldn't go a LONG way toward bringing the conservative voters together. Tell me this strategy wouldn't pull in and appeal to independents. As voters, using THIS strategy, we would be voting for the whole team rather than just the standard, business-as-usual Presidential 2-person ticket. Feel free to insert your own cabinet choices and explanations in the comments below – but whatever you do… SHARE THIS ARTICLE FAR AND WIDE!!! Itâ€™s going to be an ugly campaign. We all know it and weâ€™re ready for it, but itâ€™s going to be the ugliest, nastiest and dirtiest campaign in history. If the GOP Nominee takes this advice, it will send a clear message to the Republican establishment that conservatives arenâ€™t going to do business as usual any more. It would shake the establishment and pull together conservative voters. Here is a little something else this would doâ€¦ It would shake the Obama campaign to its core. As soon as the 1,144 delegates are in hand, WHOEVER garners them either at the convention or beforeâ€¦ put this into motion. Having Congressman West in the VP slot makes him a TRIPLE THREAT and a VP who WILL redefine the role. Triple threat? As the Vice President he would attend to the regular duties and be a heartbeat away from the presidency. As Vice President, West would also act as a second Secretary of State in difficult diplomatic negotiations. ANDâ€¦ A Vice President West would work in concert with the Secretary of Defense to realign our military and redefine its role. As soon as the Presidential nominee has introduced West as the running mateâ€¦ THE NOMINEE WOULD THEN INTRODUCE HIS SECRETARY OF STATE NOMINEEâ€¦ John Bolton. As a former Ambassador to the United Nations there is nobody with a better handle on the worldâ€™s issues or more familiar with the players. John Bolton is tough, straight forward and not likely to appease ANYONE. Now, you have the nominee on stage, the VP choice and the Secretary of State nomineeâ€¦ Letâ€™s not stop there. Sarah Palinâ€¦ Nominee for Secretary of Energy. Palinâ€™s directiveâ€¦ Set us on the path toward energy independence in 10 years. Can you think of a better choice? Anyone more invested in that goal? Anyone who is more knowledgeable or adept? 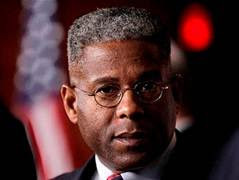 Next out of the wings and onto the stageâ€¦ The nominee for Secretary of Defense. As great as he was fighting a PC war, imagine what heâ€™ll be like once he and West have pressed the reset button on our rules of engagement. 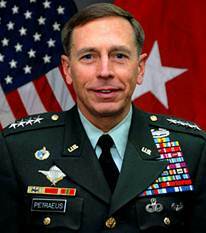 In Petraeus we will have a Secretary of Defense whose mission will be to win. PERIOD! Ohâ€¦ Iâ€™m not done yet. Next upâ€¦ The nominee for Attorney Generalâ€¦ Pam Bondi. Okay, where are we? Who is now standing on the stage? The Presidential nominee and Allen Westâ€¦ John Boltonâ€¦ Sarah Palinâ€¦General Petreaus and Pam Bondi. 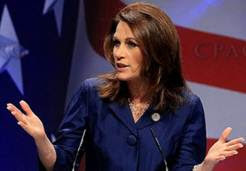 Welcome Michele Bachmann to the stageâ€¦ The nominee for Secretary of the Treasury. Secretary of the Interior? Governor Bobby Jindal of Louisianaâ€¦ COME ON DOWN! And finallyâ€¦ We need someone to head up the Department of Homeland Security. We must have someone who understands the issues we face. Someone who has worked in federal law enforcement. Someone who wonâ€™t take any crap from anybody. 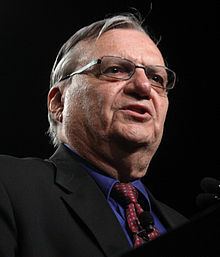 Pleaseâ€¦ a round of applause forâ€¦ Sheriff Joe Arpaio, Maricopa County, AZ. Feel free to substitute namesâ€¦ add your own choices, but these are mine. The picks are only a part of the whole picture however. The impact is as important as the names. 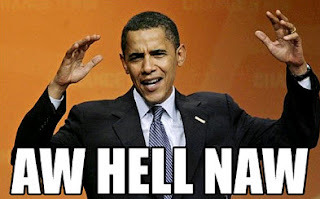 Were the GOP nominee to do thisâ€¦ call a press conference and make such an announcementâ€¦ it would be unprecedented. Never before has a presidential nominee entered the full-on campaign with a fully assembled team. Instead of simply Nominee X against Obama we would have Nominee X vs Obamaâ€¦ Congressman Allen West vs Joe Bidenâ€¦ John Bolton vs Hillary Clintonâ€¦ Sarah Palin vs Stephen Chuâ€¦ General Petreaus vs Leon Panettaâ€¦ Pam Bondi vs Eric Holderâ€¦ Michele Bachmann vs Tim Geitnerâ€¦ Ron Paul vs Ben Bernakeâ€¦ Bobby Jindal vs Ken Salazar and Sheriff Joe Arpaio vs Janet Napolitano. Think about thatâ€¦ Let that sink inâ€¦ All campaigning at once. There would be no way out for Obama as each and every key player on his team would be exposed and held to account from the word GO. It would be a full on frontal assault and Obama would have no place to hide. By adopting this proposal, Obama would be forced into a pot of boiling water or into the fire. If he tried to rid himself of baggage he would be exposed as running from his own record and that of the very people heâ€™s been standing behind for political expediency. If he stays with them, he would be forced to defend them. Boiling water or a raging fireâ€¦ his choice. Itâ€™s bold, brash and completely against the establishment business as usual strategy. An entire assembled team of key cabinet positionsâ€¦ Each one a pitbull on a T-Boneâ€¦ hammering their liberal counterparts on every issue, every day, from the word GO, until November 6th, 2012. This is the third of my 3-part series this week. Yesterdayâ€™s Standing on the Right Principles and Tuesdayâ€™s Inaugural Address comprising the other 2 parts. We will have to play the cards weâ€™re dealt with the GOP nominee, but tell me THIS strategy wouldnâ€™t go a LONG way toward bringing the conservative voters together. Tell me this strategy wouldnâ€™t pull in and appeal to independents. Feel free to insert your own cabinet choices and explanations in the comments below â€" but whatever you doâ€¦ SHARE THIS ARTICLE FAR AND WIDE!!! Relief for commuters on Route 7 and Waxpool!